Stay organized for more than just lesson plans with your teacher planning calendar. If you’ve got this year’s 17-month printable calendar, then you’re set to plan all kinds of things. 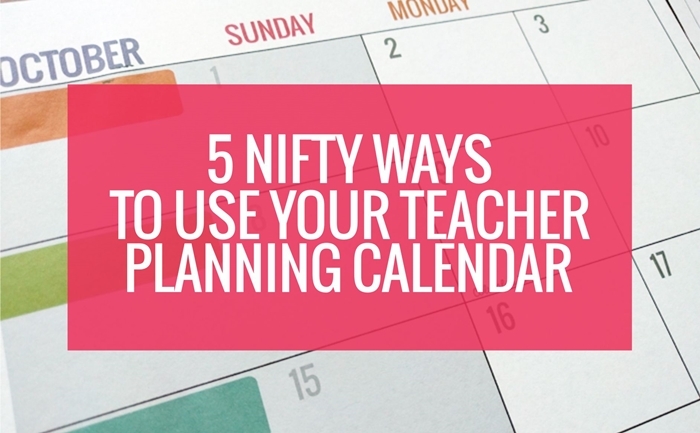 Here are 5 more ways to use your teacher planning calendar. These are my tips on using it for planning for a maternity sub, college coursework, long-term projects and more. 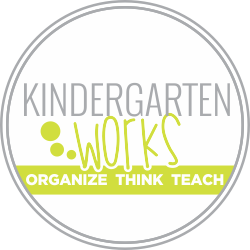 Your 17 month teacher planning calendar is designed to help you plan across both a week and a month with it’s spacious 2-page layout. It lends itself to seeing the big picture which comes in handy for more of life’s happenings. 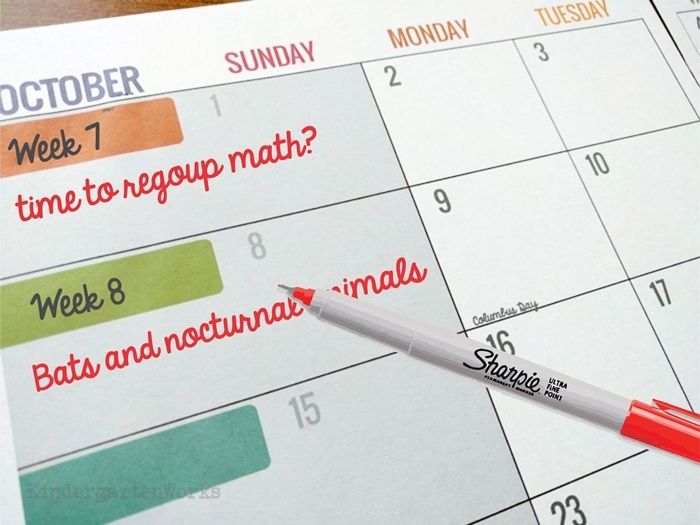 Here’s how you can use it for staying organized in life for other than just planning out your school’s special events. If you’re pregnant, then you might be planning for a maternity sub. Letting someone cover your classroom for 6 weeks (or longer) is a unique challenge to prepare for. While you should have the basics for a sub to leave with one full week of detailed lesson plans, you’re most likely going to need to leave a little more long term direction too. Especially if you plan on returning in the same school year. That’s where your calendar can come into play. Put your standards, upcoming events and goals or themes into the calendar. Use the Sunday boxes to leave little notes about special things they may need access to later in the year, or reminders of things that’ll have to get done in your absence. 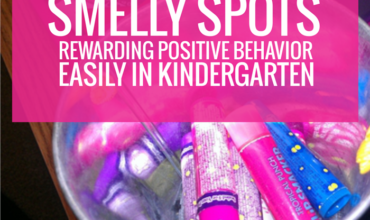 Feel good leaving your classroom knowing you’re organized and can enjoy your new arrival. Many teachers face getting back into the college classroom, especially if they are going after their Masters degree. Let a little long term planning help you keep it all in sync. 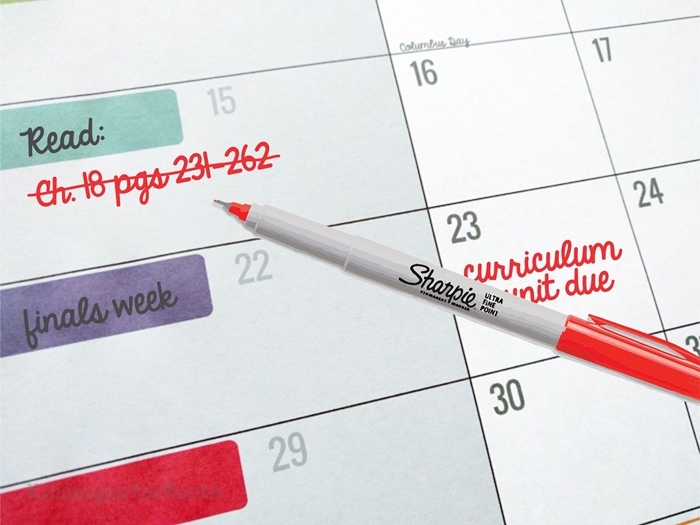 Print a copy of your calendar and bind by itself to track your coursework. Use the daily boxes to add in work from your syllabus and plan each week’s worth of work in advance. Use the Sunday boxes to keep track of your reading assignments for the week and check them off when they’re done! It’s so fun to be a teacher as “Miss or Ms.” and come back the next year as a “Mrs.” If you’re planning a wedding as a teacher – you’ve got extra work on your plate. Plan when you need to make calls, appointments and when to have those invitations mailed out by simply by putting it into a calendar that goes out many months in advance. Use the Sunday boxes to write down your inspirational ideas that you want to eventually add into your calendar. Or write down the agreements/details of any plans you made so that you don’t forget what was said. Sometimes long term projects need a little scope of their own. If you help manage teams, school plays, parent/teacher groups or even semester long projects – it can be helpful to see your plans over the long haul. 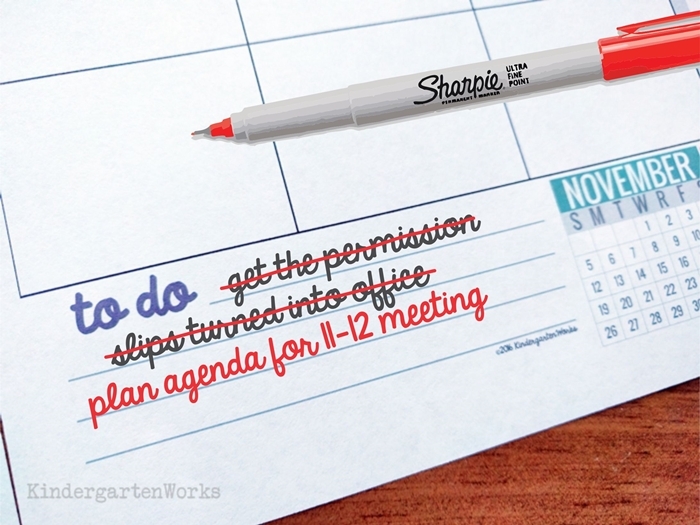 Remember to write down plans that could easily change in pencil, so you can move them around as needed! 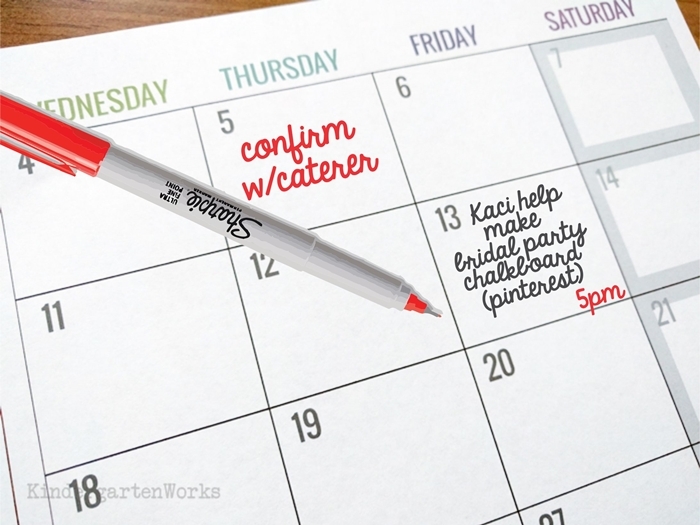 Add in due dates/launch dates/special event dates and mark them in a color that gets your attention. Use the Sunday boxes to create an action plan for the next week (or so). Write down a little checklist and then add items into your calendar, or check them off as you do them. Here’s a bonus tip that I use at home – print a smaller version for your refrigerator. 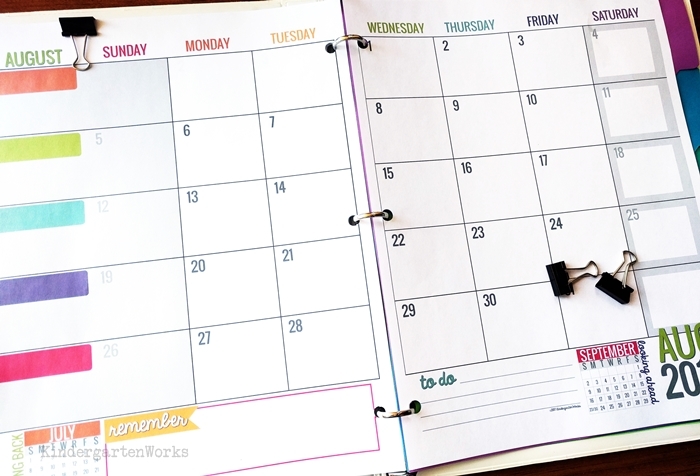 You can easily print both pages of a month onto one piece of paper which creates an easy family calendar to write down all of the stuff we keep track of at home. You just got a serious bonus for the pennies you spent on this calendar. Boom. And by far, this way is the way most of us can relate to. We love using the teacher planning calendar to get focused on what the upcoming year will bring and to add it to stay organized through the year. 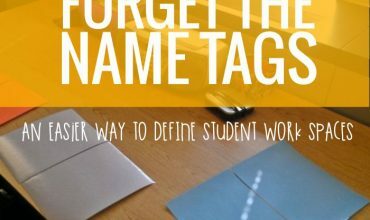 Write down student birthdays, book order due dates and meetings. Then get good at consulting your calendar each week before sitting down to write your weekly lesson plans. You won’t miss a thing this way! Use the Sunday boxes to write down themes or standards that cover your week. I liked planning my read aloud themes in advance using these and I was less likely to miss covering obscure holidays like groundhog’s day. Seriously, I don’t know why that holiday snuck up on me every year. Don’t have yours yet? That’s okay – you can get the instant download and print it right away. 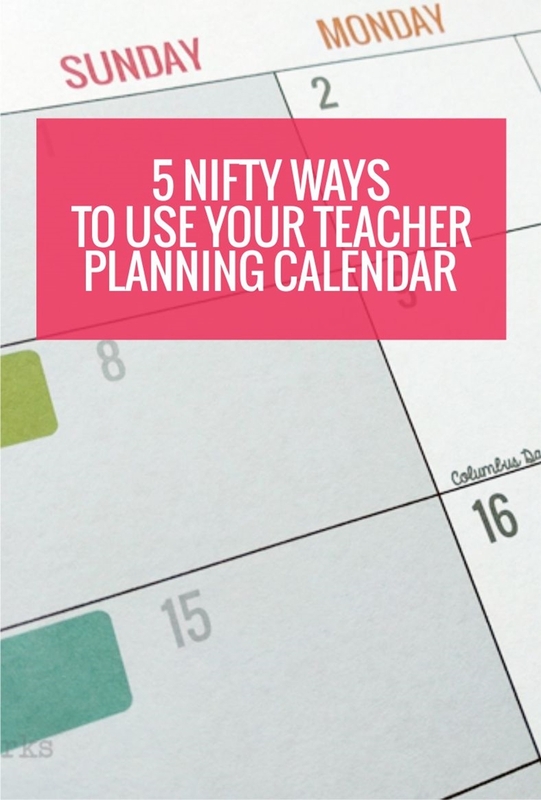 There you have five more ways to use your teacher planning calendar that’ll have you feeling more organized for the long haul.